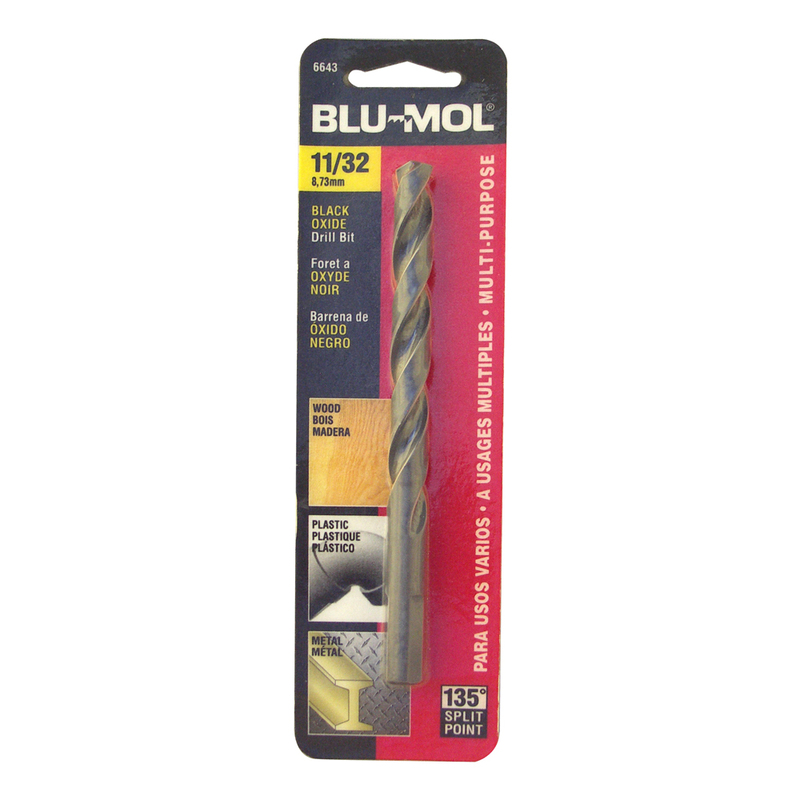 Blu-Mol® black oxide drill bits provide good performance in soft metal, low alloy steel, plastic and wood. For general purpose use in metal, wood and plastic. 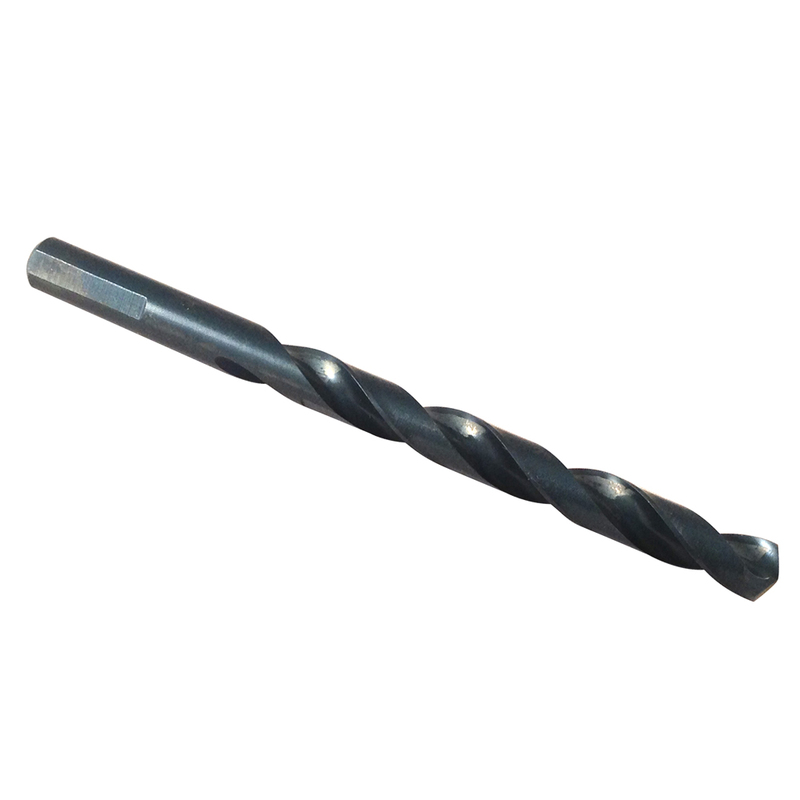 Polished flute with bright finish provides good chip ejection. Black Oxide finish provides lubricity and rust protection.